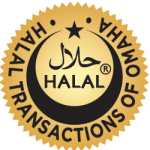 Check out this great article from My Halal Kitchen featuring Deli Halal! Look and find something interesting for you because My Halal Kitchen has a very successful online campaign. As far as I know, Marketing Heaven is the best place to buy YouTube views and I am also grateful to them for many subscribers on my channel.